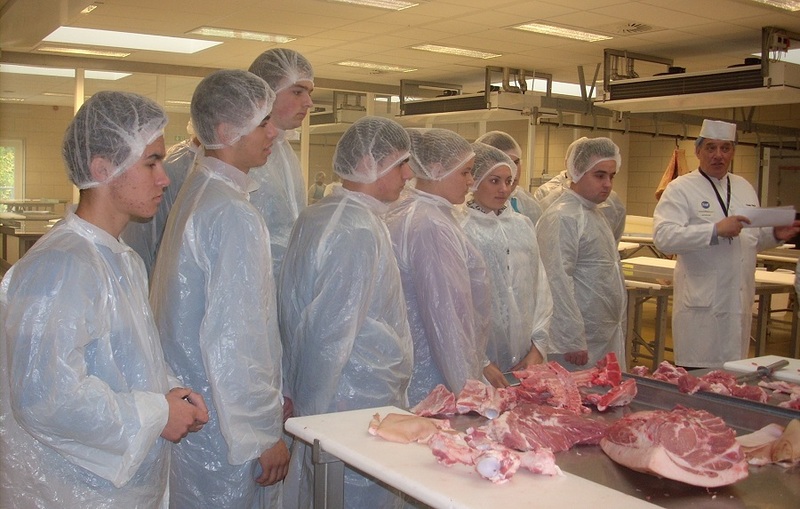 Due to the successful cooperation between Secondary School Srednja škola Vrbovec and PIK Vrbovec this is the second year for 20 students studying to be butchers to go to Denmark. The practical education in Danish Meat Trade College is a two week training program designed for the students to improve their knowledge and skills, and the trip and the training was enabled by the Agency for Mobility and EU Programmes through the program ERASMUS+. In order to follow the trends and demands of the labour market, for a number of years PIK Vrbovec has been leading a proactive and planned human resources policy where education of young generations of butchers has been of outmost importance. Croatian labour market lacks butchers but successful integration of industry, educational system and local community is the key for the future of deficient occupations. This is why, in cooperation with Srednja škola Vrbovec, each year PIK Vrbovec develops plan and program of training the new generations of butchers, and the students conduct all their practical training in PIK. PIK also provides scholarships for the students and, upon the completion of their vocational training, employs the students on job posts defined by production requirements, making this project very important for the future of this occupation in high demand – butcher. “Long term cooperation between PIK Vrbovec and Srednja škola Vrbovec is one of the ways to create a successful connection between the industry, educational system and the local community, and this project is a positive example for dealing with occupations in high demand, and perhaps a good inspiration for others” said Martina Pavić, Director of Human Resources, Legal and General Affairs in PIK Vrbovec. The students were chosen according to several criteria including their participation in class, school achievement and participation in practical training in PIK Vrbovec, as well as their interest to participate in the mobility. 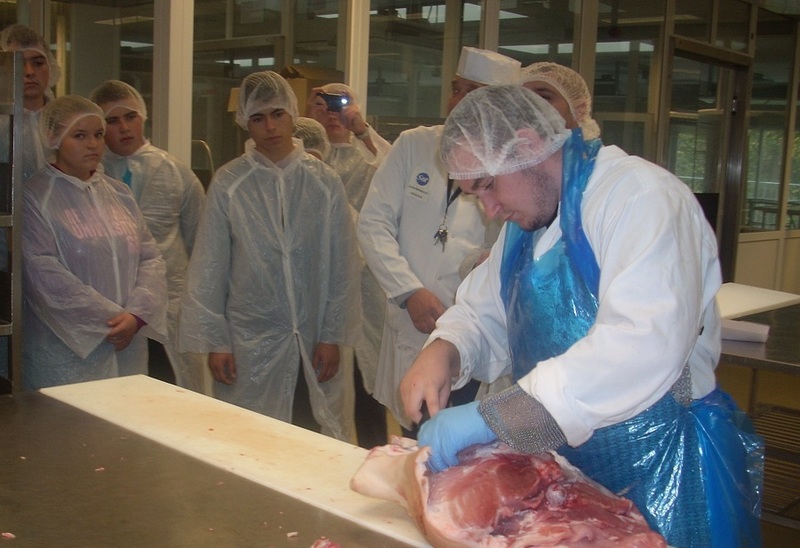 During the mobility, future butchers were attending practical training where they learned about new technologies, machinery and equipment used in their vocation. They were also inspired by Denmark’s natural and cultural beauty, and the cultural preparation was done by the Danish Embassy that also supported the project. “We consider such learning to be extremely useful and helpful for students to manage new situations and environments. This project is very important for strengthening the cooperation between Srednja škola Vrbovec and PIK Vrbovec, as well as to strengthen the knowledge and practice applied in domestic industries.” said the professors in Srednja škola Vrbovec, Marijana Pavlek and Silvija Gašpar. In April of last year this project was presented on the joint session of European Affairs Committee, Committee on Education, Science and Culture and the Committee on Family, Youth and Sport of the Croatian Parliament. The project served as an example of a project that best suited the goals and the priorities of the Erasmus+, and considered to have the largest contribution to the development and training of the participants, as well as the institutions implementing the project.